When people want comfortable living they can’t find anywhere else, they turn to Colorado. With stunning Pike’s Peak and the majestic Front Range, clear mountain lakes, and wide-open spaces, Colorado offers residents and visitors alike unmatched scenery and a level of living that is unsurpassed. When you make your home in a Colorado community like Woodmoor, it’s about as close as you can get to a mountaintop paradise. Take your home to the next level with a proven landscape design company! Paradise Outdoor Design and Landscaping can design and create an outdoor living space for your Woodmoor home with features that will make your outdoor space feel and function as a beautiful extension of your home. Relax and enjoy the scenery from your comfortable patio, barbeque for friends and family in your own outdoor kitchen, and enhance your surroundings with a refreshing touch of nature through a unique water feature. For over 25 years. we’ve been providing the people in and around Woodmoor with landscaping services whether it’s designing their dream outdoor living space or helping with various landscaping projects. We’re a one-stop, full-service landscaping company that can handle small or large landscaping projects that improve the beauty, enjoyment, and value of your property. At Paradise Outdoor Design and Landscaping, you’ll find everything you need for your outdoor landscaping project. 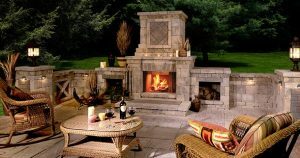 Paradise Outdoor Design and Landscaping offers prompt and excellent service backed by our customer satisfaction guarantee. Our home office and landscaping display is located just south of Parker in Monument, CO at 213 Washington Street. If you’re considering having some work done on your Woodmoor property, please stop by and meet with one of our friendly landscaping professionals to discuss how we can create your perfect outdoor space. Just 1.5 miles due east of the center of Monument, Colorado, the community of Woodmoor was designed to offer everything active people and families living in Colorado Springs want in their neighborhood. Close to I-25 means quick commutes and easy access to anything you need. The Woodmoor locale nurtures a small-town feeling that is cherished by residents. Big skies and breathtaking views will beckon you to hike and bike the miles of nearby trails. A life defined by luxury is readily available in Woodmoor, and Paradise Outdoor Design and Landscaping can give you everything you need to entertain friends and spend quality time with loved ones. Our team of professionals providing landscape design in CO has the insight to build a sustainable and enjoyable landscape for your home or business because they’re familiar with the climate, geography, and natural landscape of the Woodmoor area. Because we have a full-service water feature technician on staff, your new or existing water features can be maintained and serviced all year round. Increase the curb appeal of your home with a beautifully-landscaped outdoor living area that welcomes guests and makes them feel right at home. At Paradise Outdoor Design and Landscaping we understand your landscaping needs as well as we understand our unique local climate. We will take advantage of the natural beauty of the Woodmoor area and craft an outdoor living space for your property that reflects your personal style and compliments your home. Are you searching for exquisite Woodmoor landscaping services? 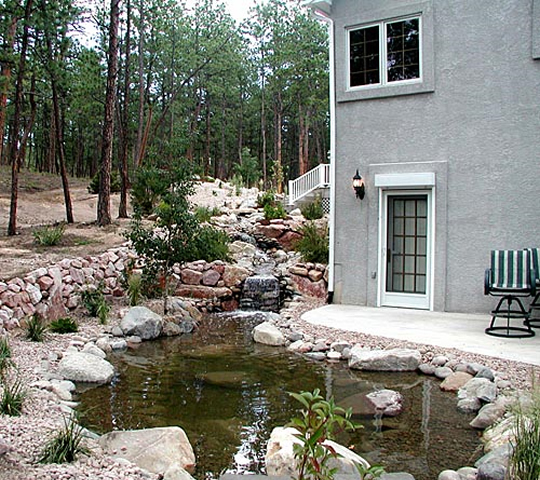 Take a few minutes to view our landscaping, xeriscape, and outdoor living photo galleries and call the experts at Paradise Outdoor Design and Landscaping for your landscape design in CO.